FREE Book Hearts Of Fire! You are here: Home / FREEbies / FREE Book Hearts Of Fire! You can request a FREE copy of the book Hearts of Fire! Just fill out the short form and it’s yours! 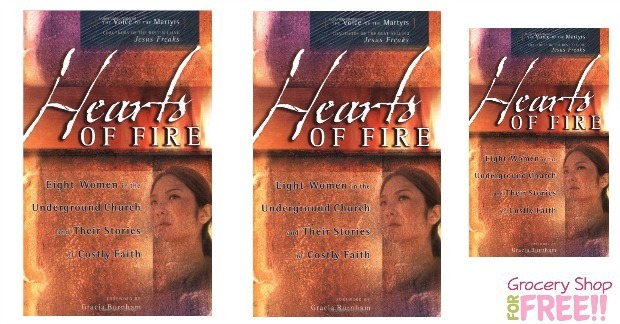 The Voice of the Martyrs invites you to request a complimentary copy one of their bestselling books, Hearts of Fire, (foreword by Gracia Burnham). Along with your FREE copy of Hearts of Fire, you will also receive a complimentary subscription to The Voice of the Martyrs’ award-winning monthly newsletter. This timely newsletter will keep you informed on Christian persecution worldwide while sharing practical opportunities to help Christians who are persecuted for their faith.